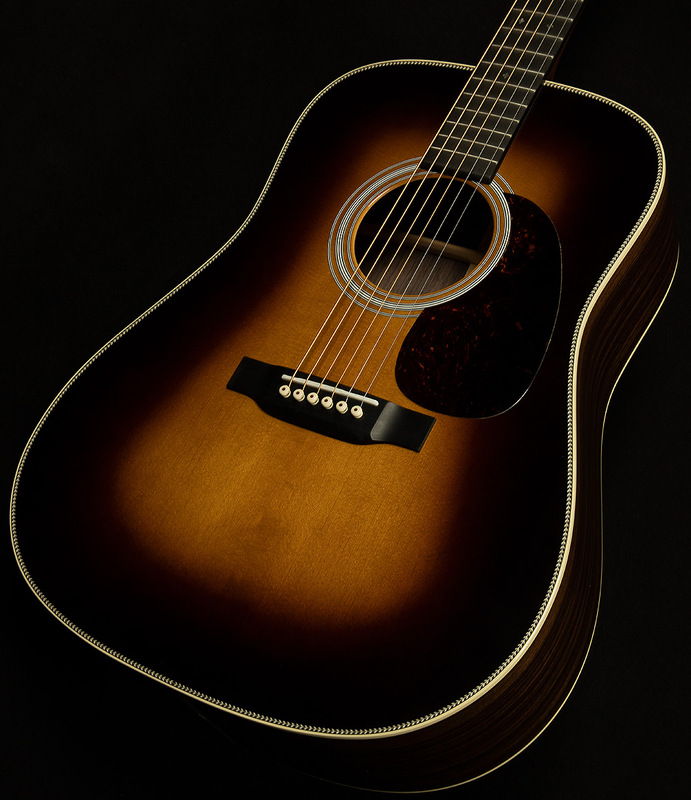 The Herringbone D-28 is a modern dreadnought with the heart and soul of a vintage thoroughbred. 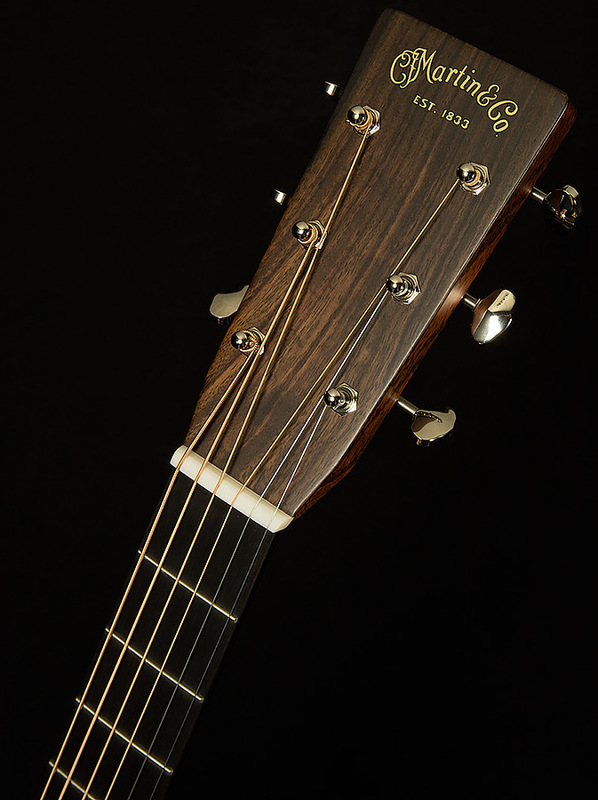 The biggest difference between the standard D-28 and HD-28 would be the scalloped bracing and herringbone purfling (top border). 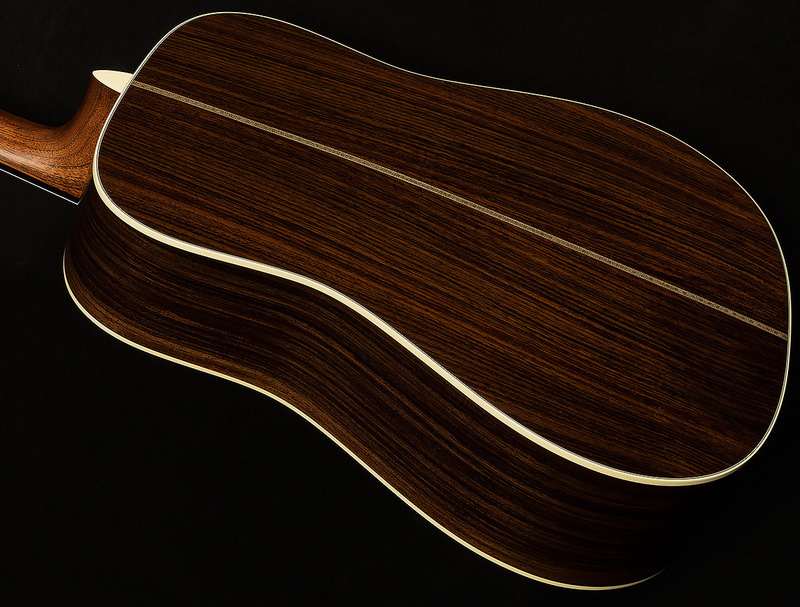 Generally speaking, scalloped bracing imparts increased soundboard resonance and a broader, more "open" tonality overall. 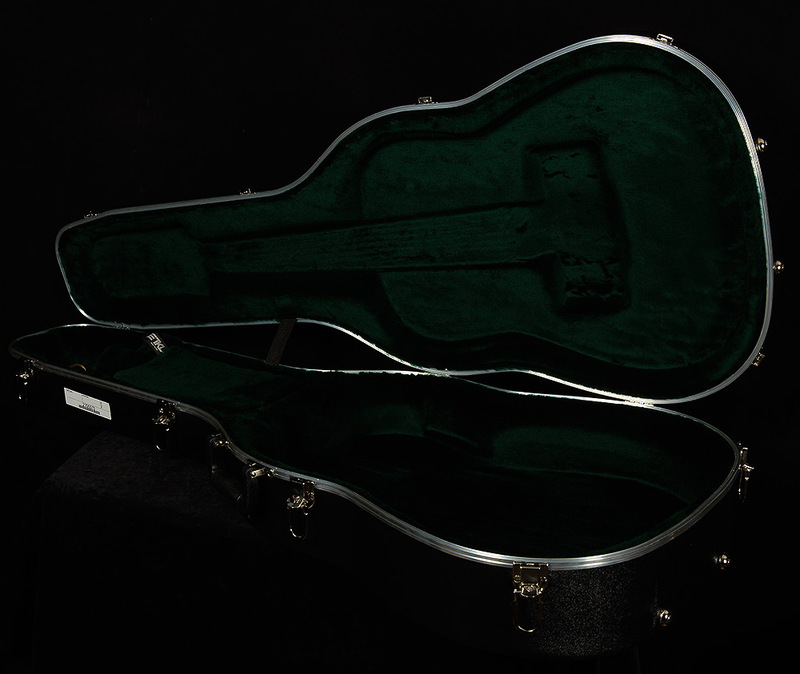 We're beyond honored to be able to offer these exceptional instruments to our Wildwood friends and family!